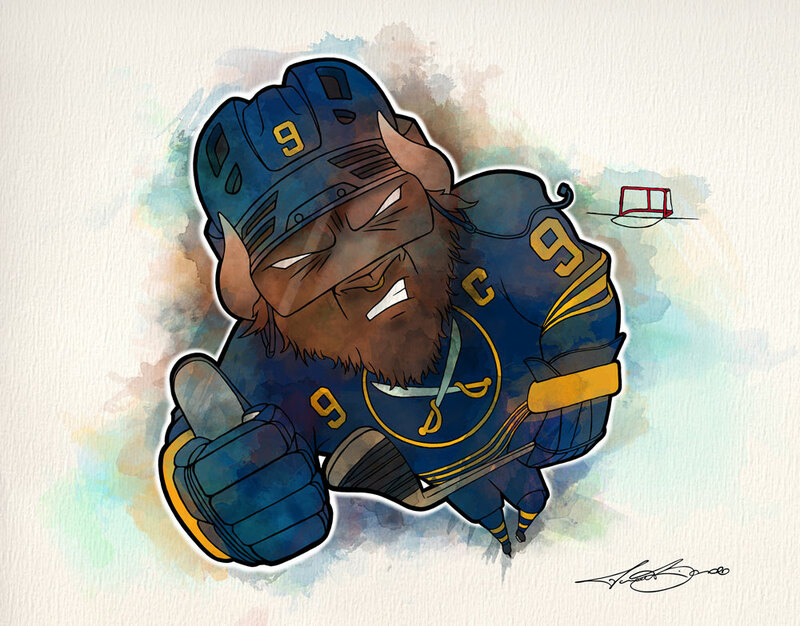 Well, if you’re a Buffalo Sabres fan, you have to love the way this team has been visiting opponents and tilting the score in their favor! It’s an exciting time when NHL’s underdogs begin to win, especially on a streak like this! El Captain, Jack Eichel, is rallying this team to victory for 10 wins in a row! The last time the franchise has won this many consecutive game was in 2006 with Daniel Briere, Chris Drury, Vanek, Miller… and even Jason Pominville! 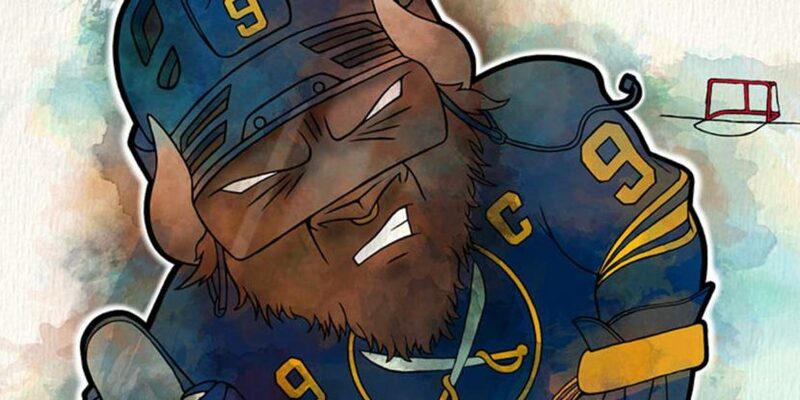 The Sabres take on the Tampa Bay Lighting in Florida tonight! Let’s hope they can pull through and add another win to their column to break the tied consecutive win record! Show your pride in this amazing team: get prints of this artwork in the Art Shop.